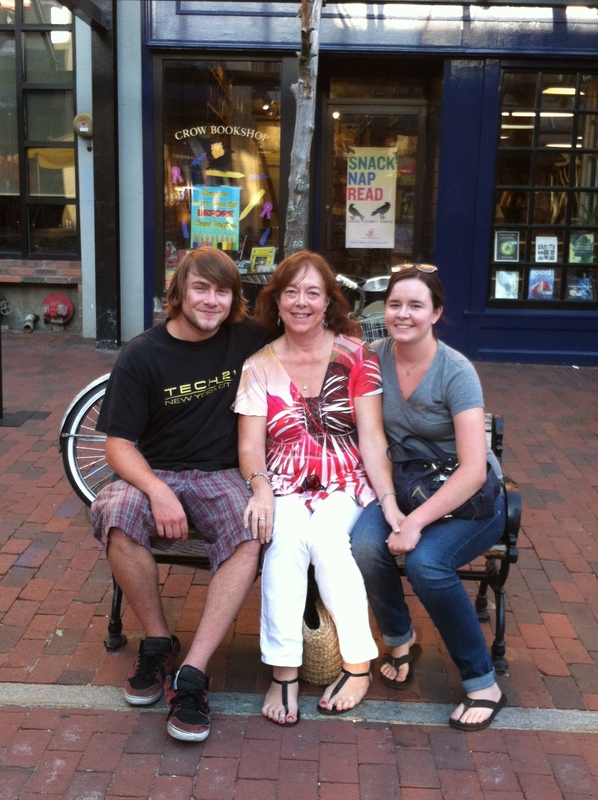 When my first child was born in early May of 1990, about a week before Mother’s Day, I had not thought a lot about that designated day-for-honoring-mothers for some years, due to the agonizing relationship I had with my schizophrenic mom. Since long before I’d married, my mother had often been absent entirely from my life, living in her car, and, when she lost that, in homeless shelters and the occasional mental hospital. If I was lucky, I knew where she was. Or—if I was unlucky, depending on how you look at it. When she was out of my world, I worried incessantly. When she was in it, she was a gorgon, haunting every cranny of my mind and heart with the brilliant venom of her love. Needless to say, on Mother’s Day, I tried not to dwell on the sadness of having no one to send a sappy card to, or take out to dinner. When I was little, Mother’s Day was mostly about me walking the one block up West 86th Street to Broadway to buy a huge bouquet of daisies with my own money, and delivering them to her. I occasionally wondered if daisies were really her favorite or if she had just said that so I could afford to buy her flowers. At her memorial service, I had the biggest bouquet of the sunny things on display as virtually the only “decoration.” The following summer, when I scattered my mother’s ashes in Buckeye Lake, Ohio, I found out from her best childhood friend that daisies truly were her best loved “friendly” flower, and had been all her life. A woman bent on grandeur and elegance never shook off her attachment to the simplest, truest of everyday flowers. We sprinkled black-eyed Susans into the lake with her remains, as those were the only daisy-ish blooms we could find that day. I think of that now, on Mother’s Day, with flowers and blossoms filling the air with thick, enchanting smells. The simplicity of daisies and the eternity that is the tie between a mother and child, for good or ill. Suppress it all I want, Mother’s Day, daisies, and all the moments when a woman in middle years might call her elderly mom to share lives—they bring back the empty place where my mother resided most of my life, before and after her death. Fast forward to yesterday. Mother’s Day 2013. 23 years and one week from my first Mother’s Day with roles changed. Where I became the mother, and began to undo the tangled persona of being my mother’s daughter. The untangling continued, through the years, as motherhood defined me in a way that daughterhood never could. Being the mother of my son, and then my daughter, fit my soul. Can’t think of another way to say it at the moment. Now my children are grown. They are the whole people they have always been, through this lifetime and all the ones that came before. They fill their own spaces in this universe, with the exactness with which water fills the ocean. They flow, they breathe, they love, they expand, they laugh and cry and create. They are people. I take no credit. I feel only gratitude. My mother knew very little gratitude for anything, and she could only see me as something she made, a reflection of her, the jewel on her crown. Thus, I could only let her down, being only human. My children have never let me down. I don’t see how they could. As long as they are themselves, I can enjoy their becoming and their being. Something I do every day with wonder and, yup, gratitude. 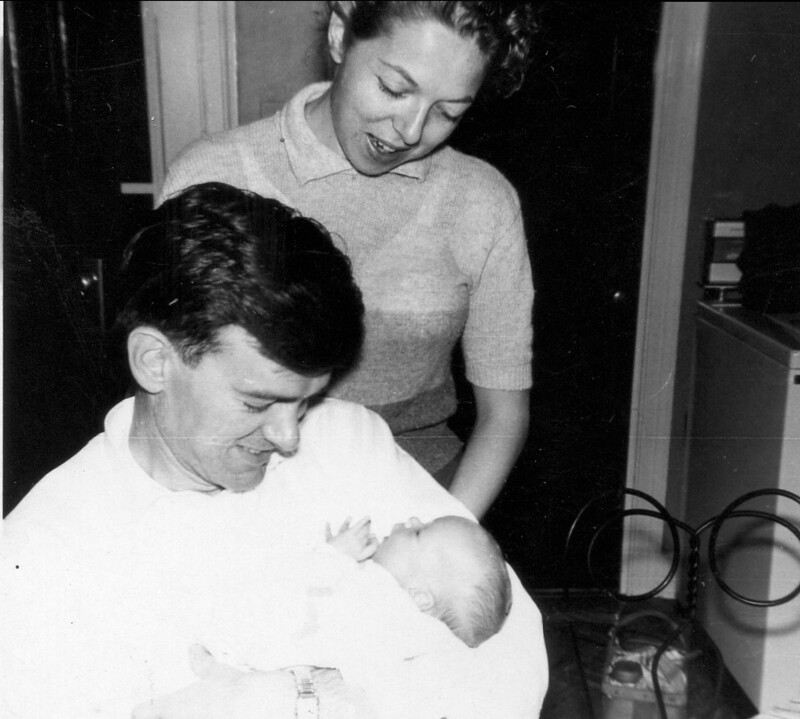 My mother with my father and me back when everything seemed possible. Me with my children. Anything is possible. This entry was posted in Uncategorized and tagged daughterhood, Homeless shelter, Mother, Mother's Day, motherhood, Psychiatric hospital. Bookmark the permalink. Sooo gracefully written, Vanessa. Thank you for sharing. I love this piece. It’s beautifully written.